Retro Love! The Retro Abstract Dresser in cream with gold accents is classic, timeless, well-styled and the foundation of exceptional design for the furniture sold by Cottage & Bungalow. 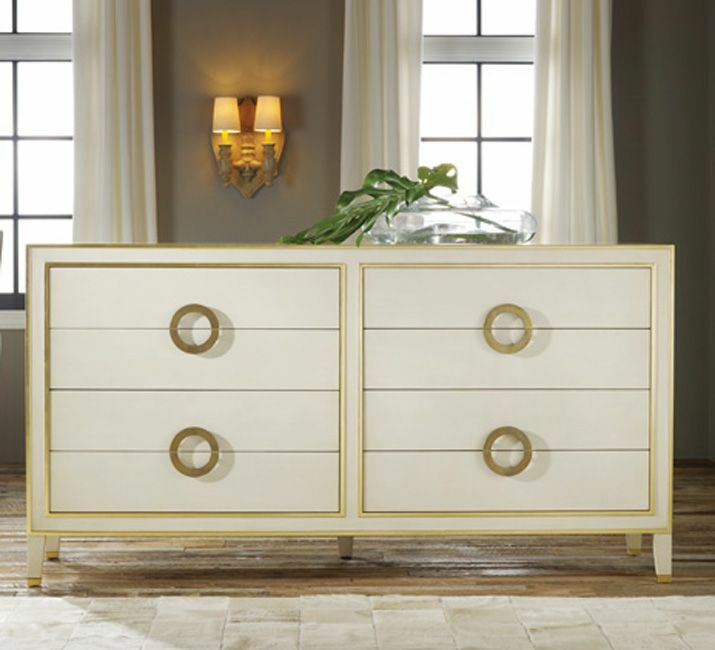 Built in the ongoing family tradition, this is a fresh and exciting approach to Fine Furniture and High Design. Hand-crafted in small quantities, the quality of manufacture, finish, proportion and attention to detail are reminiscent of generations past when anything less would not be tolerated. 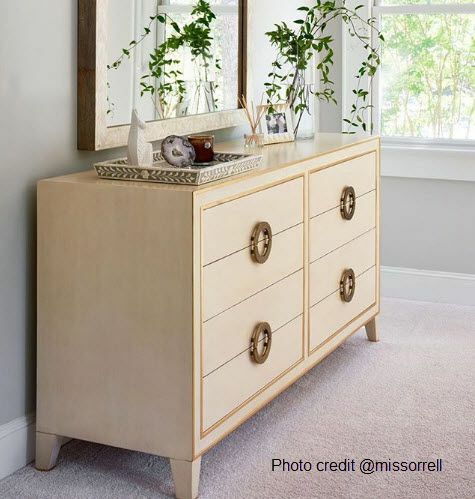 Solid brass hardware, dovetailed drawers and dust proofed cabinets are just a few of the many benefits. Measures 76"W x 40"H x 22"D.
Not eligible for return. Ships white glove delivery. Please review our return policy for more information.